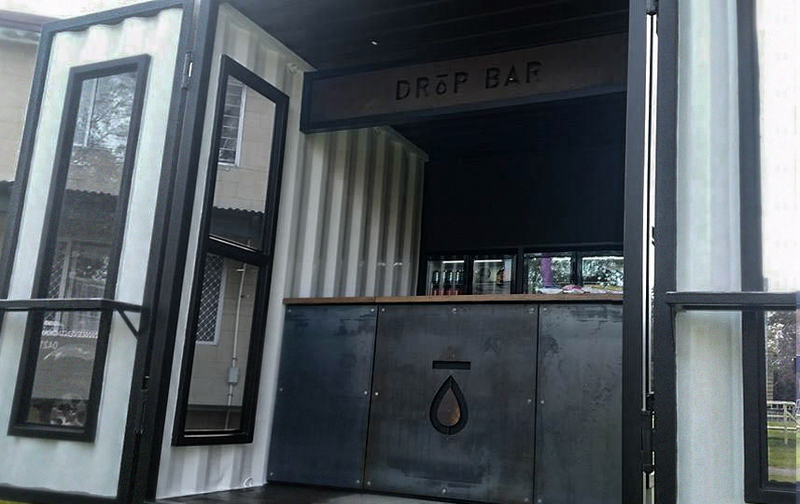 Synergy steel, the creators of Dropbar are experts in concept, modular construction and shipping container creations. With a focus on aesthetics and functionality, Synergy Steel containers help to bring more awareness and profitability to your business through faster set-ups and eye catching pop-ups. – Full workshop facilities, including in house powder coating, ensuring your container is constructed with the most durable and premium finishes. – Design and concept. We can help bring your ideas to life or offer you a range of options available to customise your own build. – If owning a container is not quite in your budget we can offer long or short term hire. – Our hire containers can be fully customised with your branding and colours.